Spending a little time on Pinterest lately, inspired me to try some projects of my own. Looking around my house, I found a small, plain, wooden chest of drawers that I’ve had for over 15 years. Its been sitting in my bathroom for most of that time, and it definitely needed to be refreshed. The next step was to prime it – no sanding needed! 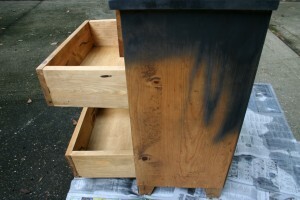 I sprayed it with Rust-Oleum Painter’s Touch Multi-Purpose Spray Paint, Flat Black Primer and let it dry. Then I followed with the Gloss Black , and let that dry. I still have enough left in both cans to start another project. I was short on time, and needed something that I could do quickly. 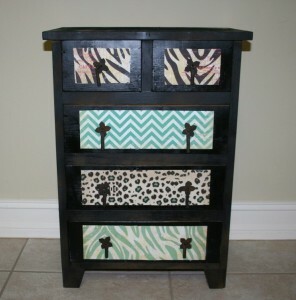 I turned to Mod Podge , to decoupage it. 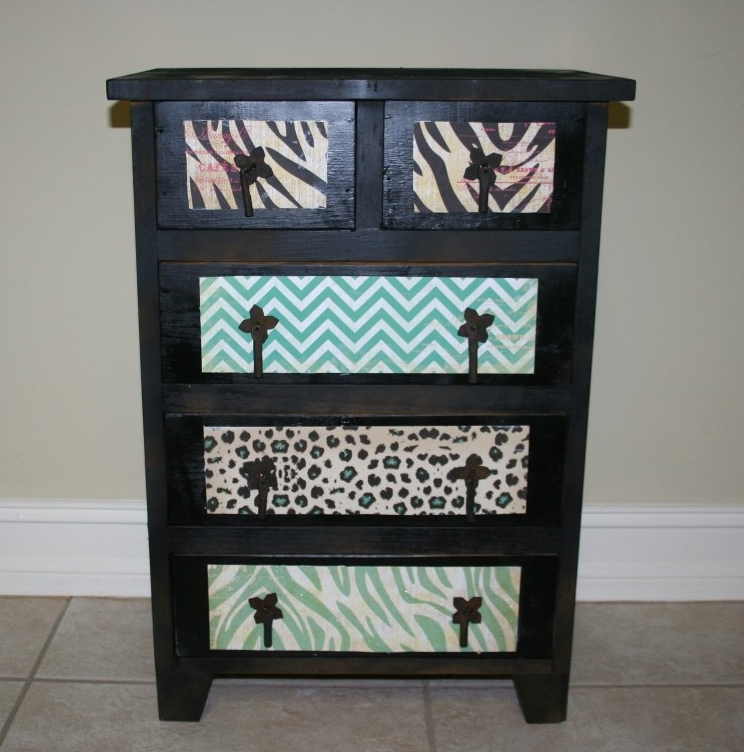 If you’re unfamiliar with Mod Podge, or decoupaging furniture, it is one of the easiest and least expensive ways to dress up almost anything. 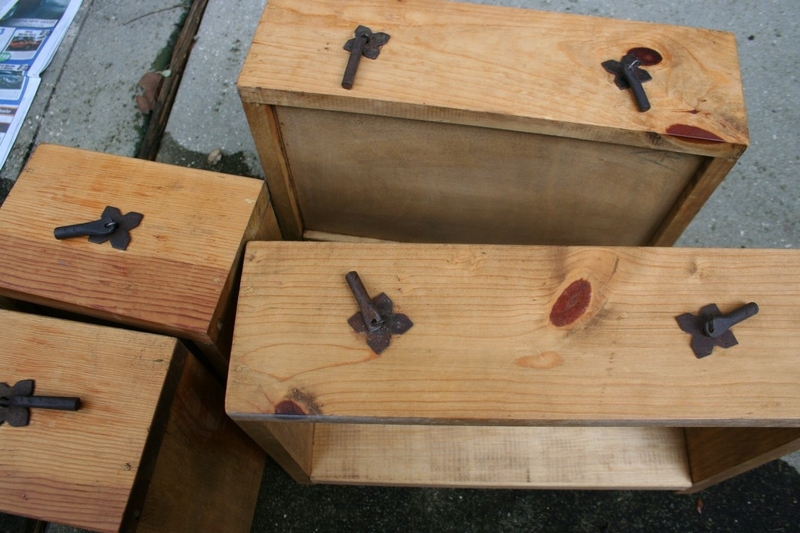 You can decoupage wood, metal, ceramic, plastic and just about anything you can think of! This made decoupaging even easier, since all I had to do was choose my squares right out of the book. You could do the same, or you could find any pretty images from magazines, wallpaper samples, news print or anything else to make your furniture project unique. What do you think? This whole project took just a couple of hours, and gave the chest a completely different look. Its like getting new furniture for next to nothing!